AKS partners with many high-quality machinery sales dealers and has an extensive service and support network. Our headquarters and manufacturing facility is located next to the Cleveland Hopkins International Airport. In the early 1900s Lyons Tool and Die was founded. 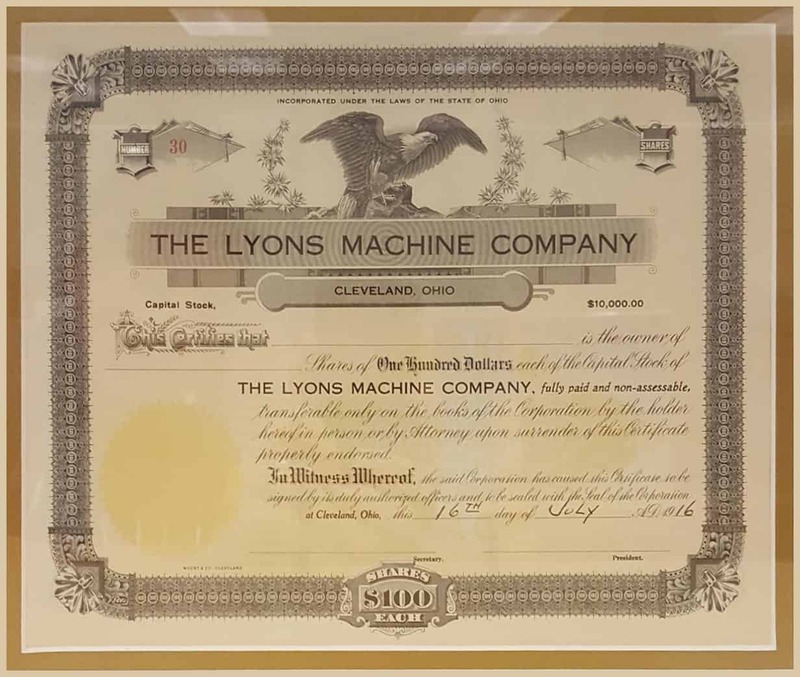 Lyons made a name for itself as a high quality custom machine shop serving the Cleveland area. For over 50 years Mr. Lyon owned and operated the company with his family’s support. The company maintained a tradition of engineering excellence with an engineering staff to rival the size of their sales staff, a tradition that continues today. Stanley Midnight, father-in-law to Dale Phillip, purchased Lion’s Tool and Die in the late 1960’s to manufacture small thread gauges and precision tools. With a limited staff and a couple high quality machines, they manufactured the finest thread gauges in America. From our custom machinery days we have always believed that, as Dale Phillip says, ‘the devil is in the details’. From designing to building, our attention to detail has kept AKS Cutting Systems around for years. And continues to keep us on the cutting edge today. In 1995 Dale moved us to our current location, across the street from Cleveland International Airport. It was a big change moving from our humble beginnings on Tillman Ave to our modern 55,000 square foot facility. We have been growing ever since. Four generations of Phillip’s have passed through the doors as employees of AKS Cutting Systems. The third and next to lead is the first pair of brothers, Kent and Greg Phillip. Family values have provided a long term vision for AKS Cutting Systems. We believe in staying the course and being in it for the long run. Over the last 100 years we have designed hundreds of machines and have found our passion and pride in our current line of plasma and waterjet cutting systems. Built with the same values in mind as always we have developed a system that you too can pass down from generation to generation. Paired with a partner who is just as focused as you are in maintaining a healthy and prosperous relationship.